In Washington, DC, in late November 1941, admirals compose the most ominous message in navy history to warn Hawaii of possible danger, but they write it too vaguely. They think precautions are being taken but never check to see if they are. A key intelligence officer wants more warnings sent, but he is on the losing end of a bureaucratic battle and can't get the message out. American sleuths have pierced Japan's most vital diplomatic code, and Washington believes it has a window on the enemy's soul - but it does not. The most recent state to join the union, Hawaii is the only one to have once been a royal kingdom. After its discovery by Captain Cook in the late 18th century, Hawaii was fought over by European powers determined to take advantage of its position as the crossroads of the Pacific. The arrival of the first missionaries marked the beginning of the struggle between a native culture with its ancient gods, sexual libertinism, and rites of human sacrifice and the rigid values of the Calvinists. Good, but not enough history of the Island. In an era of such great national divisiveness, there could be no more timely biography of one of our greatest presidents than one that focuses on his unparalleled political ability as a uniter and consensus maker. Robert Dallek's Franklin D. Roosevelt: A Political Life takes a fresh look at the many compelling questions that have attracted all his biographers: how did a man who came from so privileged a background become the greatest presidential champion of the country's needy? 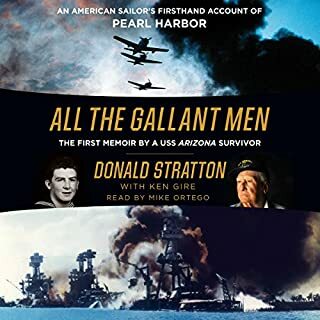 Published in time for the 75th anniversary, a gripping and definitive account of the event that changed 20th-century America - Pearl Harbor - based on years of research and new information uncovered by a New York Times best-selling author. The America we live in today was born not on July 4, 1776, but on December 7, 1941, when almost 400 Japanese planes attacked the US Pacific Fleet, killing 2,400 men and sinking or damaging 16 ships. In Pearl Harbor: From Infamy to Greatness, Craig Nelson follows, moment by moment, the sailors, soldiers, pilots, admirals, generals, emperors, and presidents, all starting with a pre-polio assistant secretary of the navy, Franklin D. Roosevelt, attending the laying of the keel of the USS Arizona at the Brooklyn Navy Yard, against the backdrop of the imperial, military, and civilian leaders of Japan lurching into ultranationalist fascism, all culminating in an insanely daring scheme to shock the Allies with a technologically revolutionary mission in one of the boldest military stories ever told - one with consequences that continue to echo in our lives today. Besides the little-understood history of how and why Japan attacked America, we can hear the abandoned record player endlessly repeating "Sunrise Serenade" as the Japanese bombs hit the deck of the California; we feel terror as navy wives, helped by their Japanese maids, upturn couches for cover and hide with their children in caves from a rumored invasion; and we understand the mix of frustration and triumph as a lone American teenager shoots down a Japanese bomber. 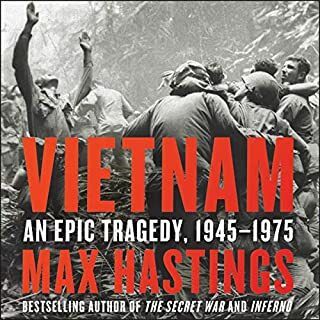 Backed by a research team's five years of efforts with archives and interviews, producing nearly a million pages of documents, as well as a thorough reexamination of the original evidence produced by federal investigators, this definitive history provides a blow-by-blow account from both the Japanese and American perspectives and is a historical drama on the greatest scale. Nelson delivers all the terror, chaos, violence, tragedy, and heroism of the attack in stunning detail and offers surprising conclusions about the tragedy's unforeseen and resonant consequences. I have downloaded dozens of books from audible. Undoubtedly, this is the absolute worst recording I've ever listened too. Bad audio, glitches, varying speed. I deserve my money back on this one. I was interested in the subject matter or I never would have made it to the end. Terrible. Listen too. The story can jump around at times, sometimes making it hard to follow, but it mostly comes back to the major characters. So many stories to cover. Glad I bought this book. From Nanking to the deck of the Missouri and the wars end. 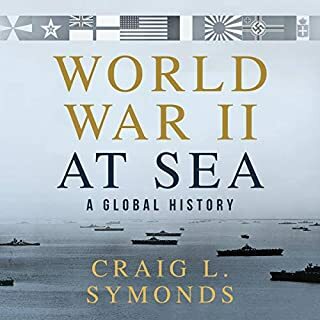 A wonderful examination not only of the attack (though that's exhaustively documented) but of the far reaching implications of Imperial Japan's foreign policy decisions. With primary source accounts from both sides it's a gruesome yet compelling look at the defining moment of 20th century American history. Poorly researched, author loses credibility. If you know nothing about Pearl Harbor, do not buy this book it will misinform you. If you know anything about Pearl Harbor in particular or the War in Pacific in general this book will anny you. Unlike other reviewers I found the narration compelling and the writing very good. Before listening to this book, I would say George Guidall could make any book worth listening to. I can no longer say that. The author makes several technical errors ( for example he speaks of Japan sinking Russian dreadnoughts in 1905 while in fact there were no dreadnoughts at Tsushima in 1905, the ship that gave its name to the class was not launched until 1906, Mayor Cermak was shot with a handgun, not a rifle, in the attempt o FDR's life and the Japanese 24 inch torpedo was not 2 feet long but 24 inches in diameter--its actual length was 9 meters, a little of 29 feet). I stopped listening however when Mr. Nelson stated the Japanese invasion of Malaya and Dutch East Indies occurred in September 1940 as well as the total occupation of French Indochina . How he came across this information is baffling. The reason Japan attacked Pearl Harbor is that Japan feared that if invaded those territories then the USN would use the Philippines as a base to attack Japanese supply lines. If the US had stood idly by when these colonies were seized ther would be no need to attack the USN at Pearl Harbor. In sum whatever new insights the author brings to the table can not be given credence due to very basic historical and technical misinformation. 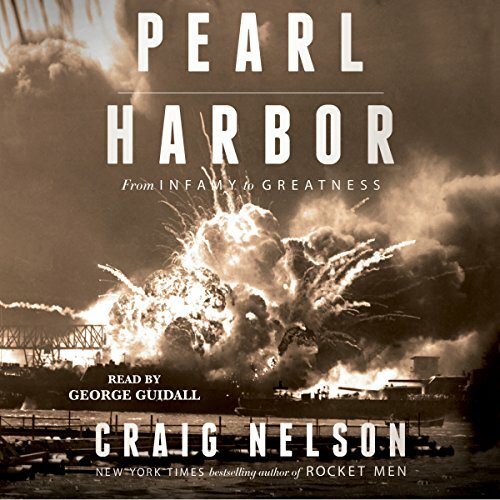 Craig Nelson’s Pearl Harbor is a first-rate history of that formative event, weaving together global politics, regional tensions, and battlefield horrors. The text is well-organized and meticulously researched, and makes a riveting story. In Nelson’s convincing analysis, Pearl Harbor was not simply the impetus for America’s entry into World War II, but the seminal event that led to the birth of modern America as a global superpower. George Guidall’s narration, however, is awful, and just about ruins this excellent text. His delivery is broken and staccato, his voice asthmatic and nasal. He mispronounces Hawaiian and other Polynesian place-names. This was the second book I’ve listened to on Audible.com that was butchered by Guidall’s narration. Note to self: do not rent any other Audible books narrated by George Guidall. I have a read many books on this subject, and this is one of my favorites. The author brings new perspective to this much reviewed subject. 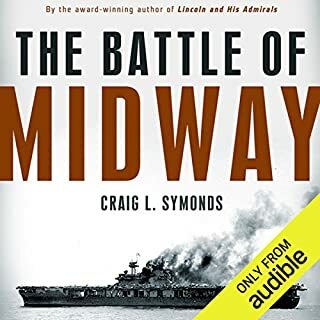 It's hard to get past the very bad narration and horrendous audio quality of this audio book, despite the well told story of the events leading to Pearl Harbor. I've listened to dozens of books and this is by far the worst audio quality I've even encountered. 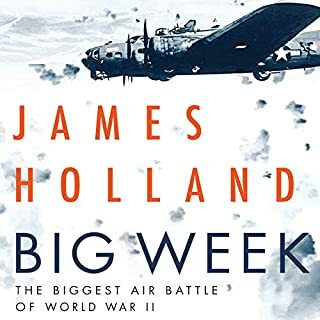 Listening to the first three quarters of the book the audio has so many audio edits and changes in volume and speed it is jarringly distracting. Couple this with the narrator's very odd voice inflections, especially his frequent accenting the last syllabic of words, the book is a very bumpy ride. 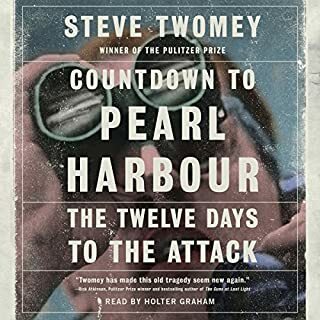 For whatever reason, the edits and speed changes abruptly normalize for the last quarter of the book, but by then the author is done with Pearl Harbor and takes a non-linear journey through battles following the Pearl Harbor attack. If you're interested in the events leading to Pearl Harbor, this book has excellent information, particularly on the events taking place in Japan and the breaking of Japanese naval codes long before the Dec. 7, 1941 attack. But I would read and flip pages and not listen to this audio. If you get this book hoping for previously undisclosed secrets, or or overlooked evidence of a momentous nature, you'll be very disappointed. This is just a lukewarm redo of a story told many times before. George Guidall does an admirable job with rehashed information, but the story is so familiar that he can't do anything to assist and keep the listeners interested. Well researched and well written. But the narration poorly edited. Many short segments pieced together. Outstanding, even-handed account of Pearl Harbor. The author provides a detailed analysis of what went wrong at Pearl Harbor and does so in a fascinating, engaging way. The narrator is among the best there is.